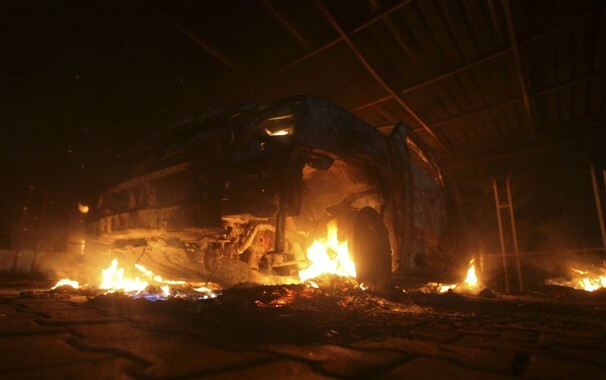 A car burns outside the US Embassy in Libya on Tuesday. Last week was a difficult one for the US foreign policy establishment. On Tuesday, the US Consulate in Benghazi, Libya, was stormed by militants, who killed the US Ambassador to Libya, J. Christopher Stevens, and three other American personnel. Stevens had worked closely with the rebel movement that overthrew Libyan dictator Muammar Gaddafi in last year. Fluent in French and Arabic, he was, in many ways, the ideal US representative to the troubled region. It is now believed that the attack was launched by Islamic militants who used ongoing protests against the United States in Benghazi as cover to launch their operation. But the protests which were initially exploited to cover the operation have since spread. By Friday, US, German, and British embassies in Egypt, Iran, Iraq, Libya, Sudan, Tunisia, and Yemen were the scenes of often violent protest by demonstrators who objected to an obscure online video produced by an American mocked the Prophet Mohammed as a womanizer, child molester, and ruthless killer. The growing protests have been strongest in countries which experienced the Arab Spring, where longstanding dictatorships were overthrown and replaced with fledgling democracies. The leaders of those countries must play a dangerous balancing game. While seeking to retain good relations with the United States, they must also keep an eye on reelection campaigns. When Anti-Americanism runs high, one of the two competing goals has to give. This tension marks an interesting turn from the historical foreign policy of the United States. During the Cold War, the United States was often criticized for supporting dictators who, while not democratic, were certainly anti-communist. While the promotion of democracy often remained an ideal objective of US foreign policy during the Cold War, in many cases, such as that Egyptian President Hosni Mubarak, the United States was willing to overlook democracy for a firm commitment to anti-communism. Now, the emphasis on democratization has raised new questions arising from the competing demands faced by the fledgling democracies in the Middle East. How do we reconcile those demands? What do you think? How should US foreign policy engage with democratically-elected governments expressing anti-American sentiment? What is the most effective way to engage with governments like those of Libya, Egypt, and Afghanistan, where leaders balance a desire with closer ties with the United States against popular expressions of anti-Americanism? And more fundamentally, what role should the promotion of and support for democratization play in US foreign policy? Let us know what you think. Only one-half of Americans 18-34 could find India on a map. Only one-third of Americans could find Iraq on a map. 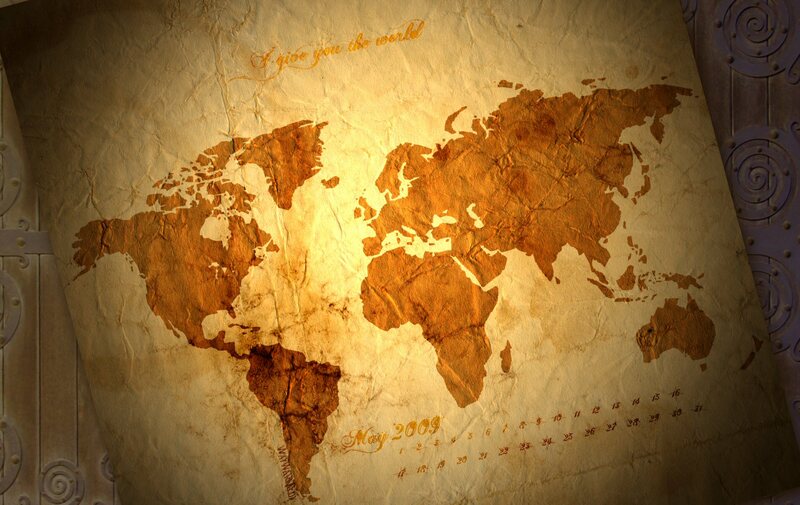 Only 25 percent could find Indonesia on a map. Similarly, only 25 percent could find Iran or Israel on a map. Only 12 percent could find Afghanistan on a map. Twenty percent believed Sudan was in Asia. Hardly surprising then that we wind up struggling to understand and deal with global issues, as Miss South Carolina USA’s now infamous example illustrates. To combat this alarming trend, I’ve adopted a couple of tactics in my classroom. First, I regularly give map quizzes, which focus students to spend time learning basic geography. There are many online study aids which will help students practice, such as MapQuiz, LizzardPoint, or any of dozens of other sites that offer similar features. At a minimum, students should have some knowledge of state locations, though some instructors may also consider including major cities or other geographic features like lakes, rivers, and mountain ranges. Second, I regularly include maps illustrating locations in my lectures, and connect our discussion of other issues to geography. Simply requiring students to learn where countries are for a quiz does not encourage them to retain this knowledge for later. By bringing geography into other issues, students come to recognize the importance of geographic literacy. But it all starts with knowing where countries are. 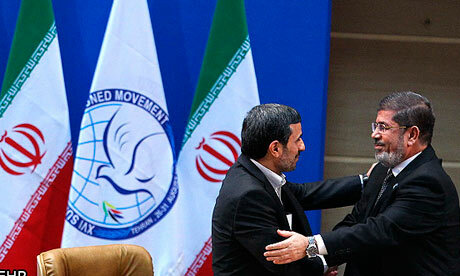 Iran’s Mahmoud Ahmadinejad and Egypt’s Mohamed Morsi greet each other at Non-Aligned Movement summit. On Friday, the Nonaligned Movement handed Iran a significant foreign policy victory, unanimously declaring their support for Iran’s civilian nuclear energy program and condemning American efforts to push Iran to end its initiative. After the end of the Cold War, the Nonaligned Movement struggled to redefine its mission. But with 120 members, the Nonaligned Movement is one of the largest associations of states outside of the United Nations. Its declaration thus likely complicates US efforts to paint Iran as a rogue nation flouting international norms and defying the will of the international community. It could be an important diplomatic victory for the government of Iran. On a broader level, the Nonaligned Movement’s declaration also raises interesting questions about the importance of multilateral diplomacy in foreign policy. Traditionally, realists have asserted that the “will of the international community” carries little weight. For realists, the Nonaligned Movement’s declaration will have little real effect, as few of its member states are likely to take concrete steps to support Iran. What really matters is the willingness of individual states to act on their interests. If the United States (or more likely, Israel) believes that Iran’s nuclear program poses a threat to their national interest, they will move to address that threat regardless of the will of the international community. For liberals, though, the Nonaligned Movement’s declaration presents more of a challenge. From this perspective, the will of the international community matters and should be taken seriously. The unanimous declaration would suggest that the United States and Israel are alone, out on a limb, with respect to their Iran policy. At a minimum, the United States would need to recalculate its position in an effort to garner greater international support for sanctions and other efforts to prevent Iran from securing nuclear weapons. However, the constructivist position offers perhaps the most interesting take on recent developments in Iran. For constructivists, the Nonaligned Movement’s declaration has the potential to reframe the discussion on Iran, shifting the discourse from a focus on the development of nuclear weapons to civilian use of nuclear energy. Such a reframing would likely make the US position more difficult. What do you think, does the Nonaligned Movement change US options with respect to Iran’s nuclear program? Do multilateral organizations like the Nonaligned Movement matter? Or are the realists right that only the national interest and the willingness of states to commit resources in pursuit of that interest matter? 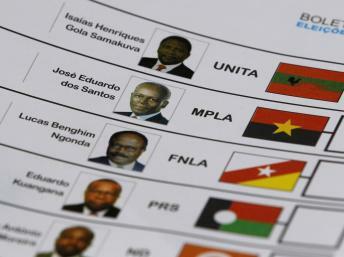 Angolans are voting in the country’s second national election since the end of a 27 year civil war a decade ago. Incumbent President José Eduardo dos Santos, whose ruling Popular Movement for the Liberation of Angola (MPLA) has governed the country since 1979, is expended to soundly win reelection. Angola today is a far cry from the country ravaged by a 27 year war involving three separate liberation movements and external intervention by the former Soviet Union, Cuba, the United States, and apartheid South Africa. That war, which resulted in the deaths of more than 300,000 Angolans, left deep scars on the country. But today, Angola is growing rapidly. Angola is home to extensive oil reserves, and has experienced rapid, double-digit economic growth since the 1990s. Between 2001 and 2010, Angola experienced the highest rate of economic growth in eh world, averaging 11.1 percent per year. 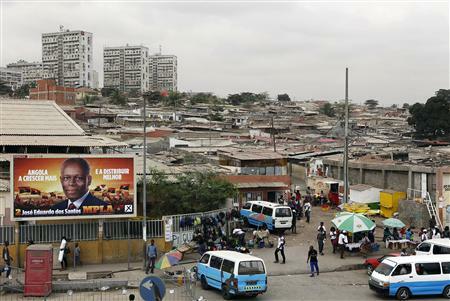 But Angola’s development has not been without its shortcomings. Despite its rapid economic growth, most Angolans remain desperately poor. Life expectancy and infant mortality rates are among the worst in the world. And economic inequality has increased, as a relatively privileged few benefit from the country’s newfound wealth while most continue to live in poverty. Angola is one of several African countries that have molded their governments, in an unspoken fashion, on what is widely known as the Chinese model. Leaders who have been in power for decades in countries like Angola, Ethiopia, Rwanda and Uganda have delivered considerable economic growth and, by some measures, improvements in health, education and development. Leaders of these nations, all of them scarred by internal conflict, have offered their citizens an implicit bargain of development and stability in exchange for robust democracy. The exact nature of the “Chinese model of development” is contested. Nevertheless, at its core, Chinese development was defined by a combination of selective economic liberalization combined with continued political control. China’s economic opening was the result of specific and selective political decisions made by the Chinese Communist Party. Further, Chinese development brought into question the link between democracy and capitalism that hand long been assumed in the development literature. Angola, like many other developing countries, appears to be moving towards that model, encouraging economic liberalization while restricting political liberalization and democratization. Certainly there is historical reason to question the connection between democracy and development. South Korea, for example, experienced rapid economic growth by selectively liberalizing the economy (in the context of extensive state regulations, much like China) but simultaneously maintained a repressive and undemocratic government. Indeed, South Korean economic development, which averaged an impressive 9.2 percent per year from 1961 to 1979, occurred largely while the country was a military dictatorship. Clearly the relationship between democracy and development is not clear cut. What do you think? Does China present an alternative model for economic development in Africa? How does Chinese development differ from the historical patterns of industrialization and development experienced in the West? And perhaps most importantly, how are democracy and development connected?